Saving for retirement is no easy task. Most employees today won't have the luxury of pension plans. They'll have to rely instead on a mix of Social Security and the money they've saved on their own in individual retirement accounts and 401k plans. The challenge is for employees to determine how much they'll need to save to live comfortably during their retirement. Many U.S. residents are unprepared for retirement, according to the 2012 Retirement Confidence Survey conducted by the Employee Benefit Research Institute. According to the study, just 14 percent of U.S. workers are very confident that they will have enough money to live a comfortable life during their retirement years. The survey also found that 60 percent of workers estimate that the total value of their household's savings and investments -- a number that does not take into account the value of their primary home -- is lower than $25,000. The Center for Retirement Research at Boston College reports that households earning $50,000 or more every year need about 80 percent of their annual preretirement income during their retirement years to maintain their current level of consumption. If your annual household income stood at $100,000, you'd need $80,000 a year to live the same lifestyle after you hit retirement age. You can get this $80,000 through your savings, Social Security or any other income streams you might have. The Center for Retirement Research recommends that average wage earners who start saving at the age of 35 and retire at the age of 67 need to save 18 percent of their annual income each year to maintain their current lifestyles during retirement. How Much Money Does the Average American Family Have in Savings? 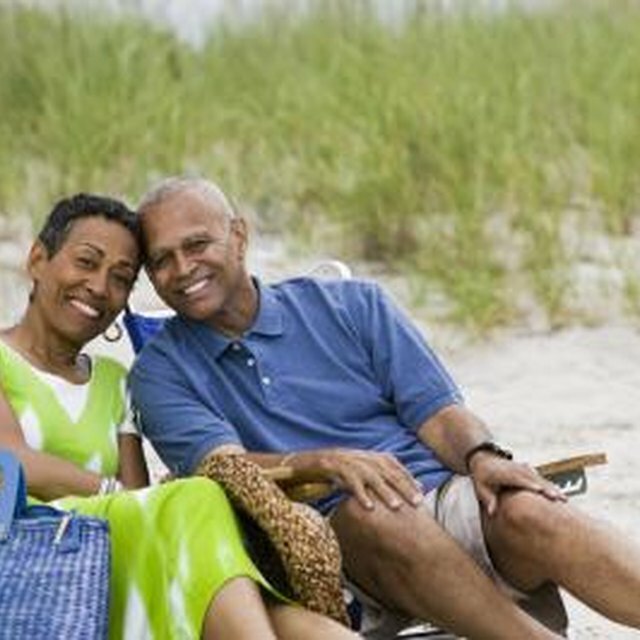 You don't know how long you and your spouse will live after you retire. But if you retire at age 67, you could live 25 to 30 years after you quit work. Therefore, if you need $30,000 a year to live on for about 25 years, you'd need to have $750,000 saved for a comfortable retirement. That, though, doesn't take into account any Social Security or pension income that you might receive. These additional income streams will lower the amount of money you'll need to have saved for a comfortable retirement. For instance, if you determine that you'll be receiving $1,500 a month from other sources of income after you retire, and you need $30,000 a year to live comfortably, you'll only need to provide $12,000 each year from your savings. If you expect to live 25 years, you'd then need only $300,000 in savings to live comfortably during your retirement years. The sooner you start saving for retirement the easier and less financially burdensome it will be. It is never too late to start planning for retirement, even if you're 50. If you sit down and put a plan together you can make up for years of lost time. With pensions becoming more and more uncommon and the solvency of the social security system in question personal retirement planning is more important than ever.